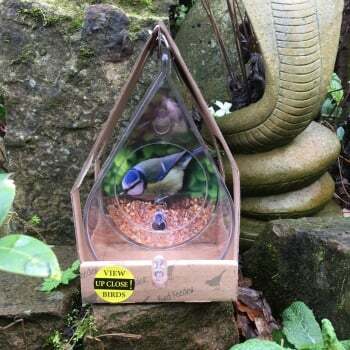 This window bird feeder from Ruddick Garden Gifts is a must for anyone who loves to watch the garden birds. The suction pads allows you to stick the feeder onto your window and watch the birds feeding up close. The window feeder is made from clear perspex and is easy to clean. Comes gift boxed.